The Rubens House is presenting a self-portrait, which Jordaens painted around 1645–49. Jacob Jordaens (1593–1678), was one of the ‘Three Tenors’ of Southern Netherlandish Baroque, together with Rubens and Van Dyck. Jordaens was Antwerp’s most important artist at that point, following Rubens’s death in 1640 and that of Van Dyck in 1641. Johannes Meyssens (1616–1670) published a portrait of Jacob Jordaens in his Images de divers hommes d’esprit sublime, a print now considered an iconic image of the artist. It reproduced a painted self-portrait by Jordaens that can be seen today at the Staatsgalerie in Neuburg-an-der-Donau. The work being shown in the Rubens House, is a studio replica, with finishing touches by Jordaens. 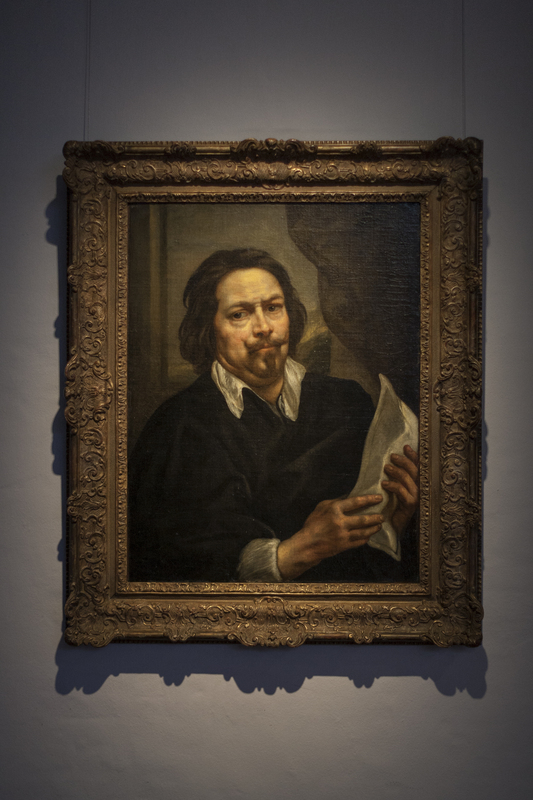 Acquisition of the portrait enables the museum and the King Baudouin Foundation to show Jordaens the way he really was, self-confident but modest. It also makes the Rubens House the only museum north of the Alps that can show self-portraits of Rubens, Van Dyck and Jordaens.